As much as some moms and dads would like to think so, there simply aren’t any perfect parents. And, try as you might like, it’s nearly impossible to be a good parent without training and discipline. Limits are one form of discipline and it’s helpful to know the importance of setting limits for preschoolers. Parents often set limits for their children, not only for disciplinary reasons but also to help keep their children safe. So it’s helpful to know how to set limits, how to enforce the limits once they’re set, and what consequences to using if the limits are ignored. Of course, the consequences for ignoring the limits will be different depending on the age of the children in question. Children who feel like they’re loved and valued by their parents will be more willing to accept correction and limits. Why not plan individual dates with each of your children to help solidify their sense of value to the family? Limits may be used to help your preschooler learn what is acceptable and what is not so they can learn self-control. Young children have a tendency to want what they want when they want it, so you may have some challenges in store for you. Don’t give up – you can do this. Be ready to tell your child “no” quite often during the process. Try to explain why they canít do something rather than just telling them no, for example: “You can’t do this today because it’s raining, but perhaps you can do this instead.” Give them an option when you tell them no. 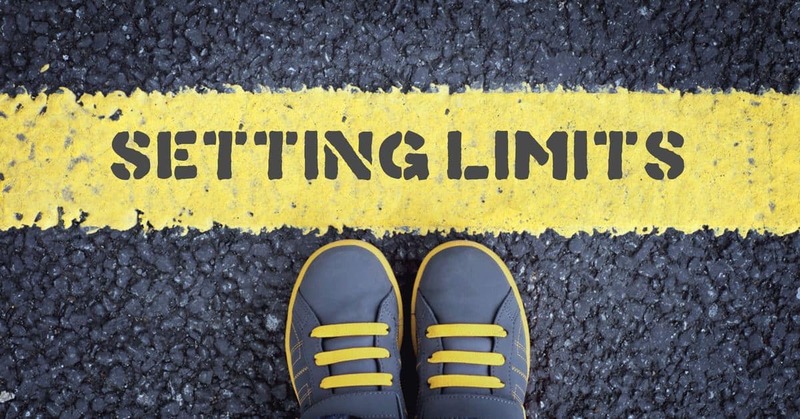 Why are limits important? Limits actually help your preschooler feel like you care, especially when you share with them the reason why the limit is being set. They will also feel more secure even though the limit isn’t enjoyable. Give them fair warning if you expect them to stop doing something since some children have problems with abrupt changes. Know what you expect out of your preschooler, and agree upon those things as parents and partners, before you tell your child. It’s also helpful to know what your child is able to do and what they’re not able to do yet. Learning how to discipline effectively and encourage co-operation is also helpful. When you set a limit, no matter what the limit is, it’s important to be consistent when reinforcing the limit. If you tell your preschooler they have a time limit to finish what they’re doing, be sure to stop what you’re doing and enforce the time limit when the time comes. Following through is as important as setting the limit in the first place. By being consistent with your limits, your child learns they can trust you to do what you say. Try not to set too many limits at one time. Your child needs to be able to achieve success with following one limit before moving on to another. You may repeat yourself during the training process, but the results will be worth it in the future. Pay attention to how the limits you set are affecting your preschooler. You know the importance of setting limits for preschoolers, but you don’t want to crush their spirit in the process. Be sure they know you love them even though you have to establish limits.